Today’s brands face many more marketing challenges than those before them. Not only due the number of stiff competition, but because modern consumers can be a pretty demanding bunch. Not only are they pickier, discerning, and difficult to pitch to – they are also hard to track down. Nowadays, they can be found in multiple locations and using different platforms. In order to eliminate the amount of guesswork when it comes to their customers, top brands are relying on valuable insights in order to figure out what their consumers want and how and when they want it. And you know what is a largely untapped goldmine of customer opinions and feedback? Social media and the web. Therefore, by thoroughly monitoring your brand online – you’ll get an idea of what’s being said about your company. More importantly, it can show you what’s working and what’s not in your marketing strategy. According to research conducted by Mckinsey, retails brands who succeed in utilizing big data can boost their operating margins by as much as 60%. Building your business strategy around data is certainly the way to go, but there is a problem: there is too much of it. For instance, only 0.5% of all data collected is ever used. Of course, a lot of that data is also useless, so until we figure out a way to tap into that huge potential, you need to be able to tell which data and metrics you should focus on when it comes to your brand. When it comes to media monitoring, people are typically tracking data around: reach, sentiment, etc. But there are some other less obvious metrics that can be more telling – so keep reading! With that in mind, here are 5 media monitoring metrics you may not be tracking. Simply put, engagement reflects the way your community is interacting with your content. And users are only going to interact with content which they find valuable. 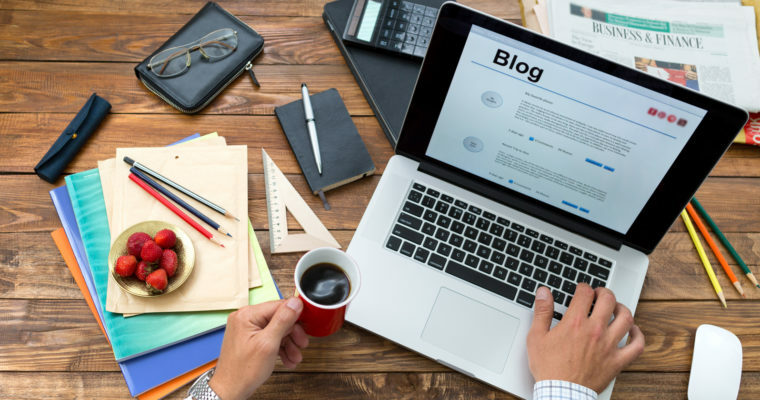 According to Social Media Examiner, 45% of marketers are relying on blogging as their number one content strategy. This goes to show how powerful content can be. Having a blog which gets plenty of visitors is great, but high traffic volumes aren’t necessarily an indicator that your visitors will convert. Engagement, on the other hand, can provide you with a much clearer picture, depending how your audience is interacting with your content. For instance, you need to think about what sort of goal you want to achieve when engaging users with your content. If you are looking to spread awareness about your brand, you are going to have to pay attention to stuff like social media shares or retweets. On the other hand, if you are looking to engage your audience and simply generate interaction as a result, a much better indicator of that would be likes, comments, and replies. Also, keep in mind that not all types of content generate the same kind of engagement, which means you should not assume anything in advance. Instead, pay attention to your audience’s reaction to specific types of content. If we were to focus strictly on how users are engaging with your blog, you should look into page depth – which shows how deep they are delving into your content/website. Tip: When using a media monitoring tool to track your content efficacy, be sure to use one that allows you to track specific URLs – this can show you how much one piece of content is amplified on the web. When it comes to the bare essentials of monitoring your brand as a whole, another metric you should look out for is website visitor retention. Why is your readers’ loyalty so important? Because it ultimately affects your business and your brand’s success, but we’ll get to that in second. Sure, you could say that it doesn’t matter if your audience is made up of new or regular visitors, as long as the traffic remains the same, but you would be wrong. First of all, building an audience is all about having a regular following. Second, according to research, if you can get your visitors to visit your website five times a month, they will most likely develop a habit of visiting your website regularly. If a customer decides to make that first purchase with your brand, there is a 60% chance that they will buy something from you at least once more. On the other hand, there is only a 20% chance that a new visitor will make a purchase with your brand. What should you look at in order to determine visitor retention? Use analytics software, such as Google Analytics, to monitor your website’s bounce rate. If it’s low, you are on the right track. Another equally important indicator is the number of returning visitors. Finally, if you’re doing a good job with your content and nurturing, keep an eye on the size of your email list, which should be growing steadily. Tip: compare the results of your website traffic before, during, and after the launch of big marketing campaigns or announcements. This can tell you for your next campaign how much increased traffic you can anticipate. 89% of B2B marketers cite sales as one of their three most important goals, along with leads and brand awareness. While it’s pretty obvious to identify what your bottom line is, discovering which pieces of content, strategies, and campaigns are responsible for it – is not. If you want to see the relation between your content and your sales, here’s what you need to do. Use specialized CRM software, such as Salesforce or Hubspot which allows you to create a campaign around an individual piece of content, as well as multiple ones. These tools will then associate that piece with a lead which had taken a particular action on your website. They can track the actions of a customer journey starting from the first piece of content they consumed. By connecting the dots between your content and sales, you’ll be able to prove to your internal stakeholders the true value of content marketing. Tip: by using a marketing automation tool and tagging content properly, you’ll be able to see which pieces of content drove the best results. Being able to generate quality leads is the main priority for 89% of B2B marketers, as we have found out previously. On the other hand, 68% of B2B companies list lead generation as their main struggle. The more high-quality leads you have, the more likely they are to make a purchase or at least engage with your business in a meaningful way. Generating a ton of leads that are irrelevant to your ideal buyer’s personas won’t do you much good. Check out the number of leads which are the result of users signing up with your brand, registering for one of your events, or filling out one of your coupons. Not all customers will reach the lead metrics phase of your funnel, so you won’t be able to measure those, but for those that do make it to that point down your sales funnel, you can utilize one of the available marketing automation platforms to help you determine which content had generated a lead. Tip: Figure out which pieces of content of yours are generating the most leads in different buying phases. Then repurpose or make more of the same content to get the most out life of it. Last but certainly not the least important metric, we have the mentions of your brand on the web and social media. If you are not submitting content externally or buying links, you can’t expect other websites to link back to your content – unless your own content is consistently amazing. However, when it comes to brand awareness, showing the growth of volume of mentions of your brand can be just as good as getting backlinks. According to Google’s Gary Illyes, linkless links, or brand mentions, can bring value to the mentioned brand. In traditional SEO, if a brand is mentioned without a link, that mention is pretty much useless – unless a user is willing to look up the brand online and check it out. Of course this happens, but it’s much more likely that it will happen if they have a link to click on. Google, apart from Mr. Illyes’ assurance, has remained tight-lipped about the value of brand mentions. But, how do you track brand mentions? With the right brand monitoring tool, it allows you to track all the mentions of your brand online by crawling websites, blogs, forums, and social media platforms, and more. It’s no surprise – building a successful brand takes a lot of hard work and resources. In order to make each of your hard-earned dollars count, you need to keep the amount of guessing and blind luck to a minimum. These tips will help you focus on specific metrics when brand monitoring, so you can avoid repeating the same mistakes in the future. More importantly, they’ll also help you repeat your success. Mark Delarika is a professional content writer,and teacher, successful blogger and entrepreneur. He is familiar with a wide range of spheres concerning running own business and education.